Rainy day comfort food is in order today. I ask Sonny what I can cook for him while he is visiting. He is a man of few words, a Gentle Giant. But a little nudging merits the answer. 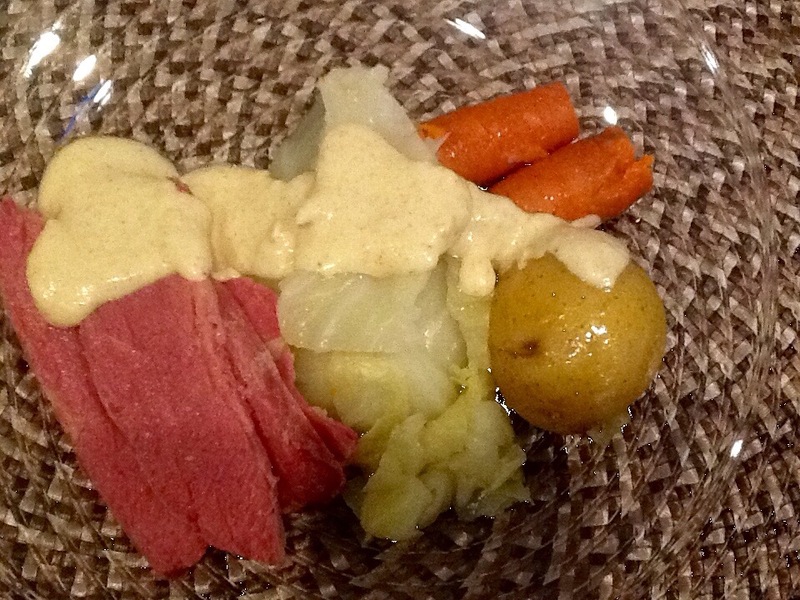 Corned Beef and Cabbage with boiled vegetables. Perfect for a cold, rainy day in NC. Boil the corned beef with spice package and a few extra peppercorns. Throw in a couple bay leaves. Skim off scum for a clear broth. 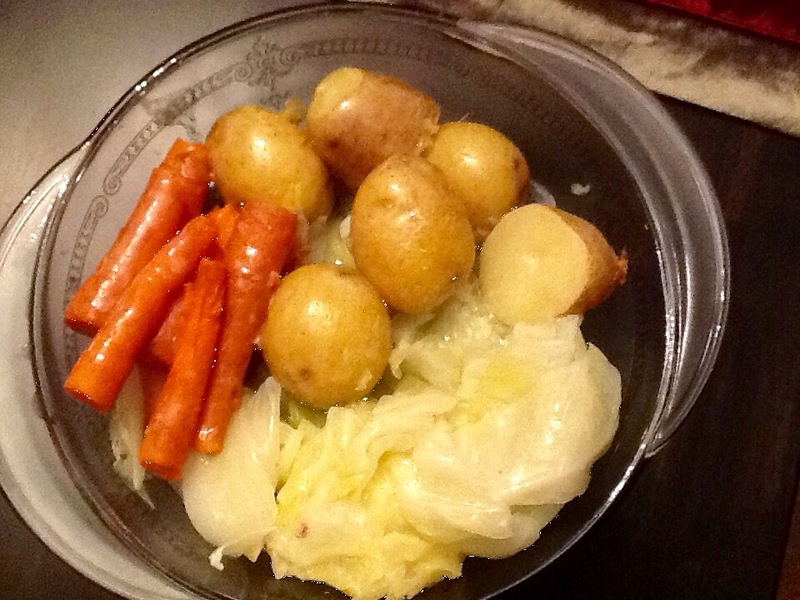 After one hour add potatoes, carrots, onions and cabbage quarters. Continue cooking for another hour. Remove veggies and top with a couple pats of buttter. Make mustard sauce for serving. 3/4 cup sour cream, 2T whole grain mustard, 1t horseradish, 2t cornstarch. Slowly whisk in 1/2 cup of liquid from corned beef pot. Microwave on 80% power for 1 minute. Whisk. Repeat cooking for 1 more minute. 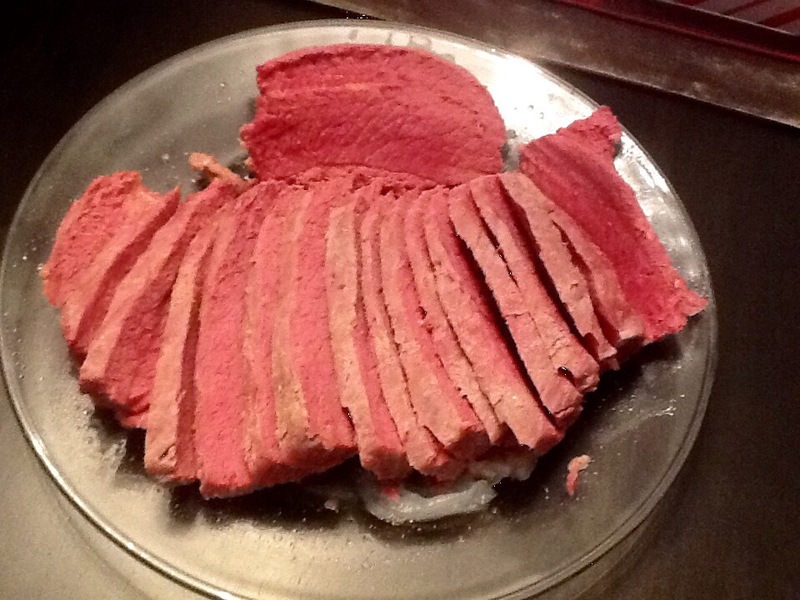 Slice your corned beef and enjoy! Previous Previous post: Christmas Favorites for Son #2!